Floyd and Alleta Oswald of Muscotah will celebrate their 60th wedding anniversary on Friday, Aug. 26. 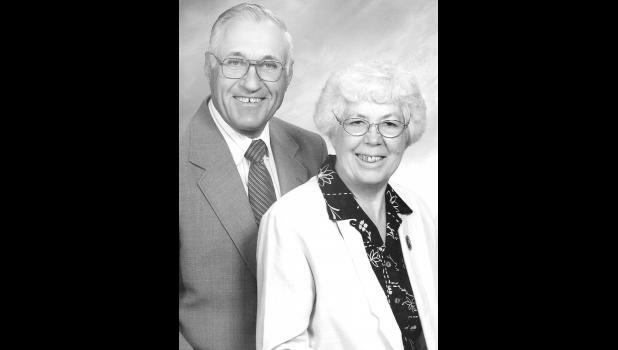 Floyd Oswald and Alleta Frommer were married on Aug. 26, 1956 at Coal Creek Church near Valley Falls with the Rev. Lowell Wendland officiating. They have three children, Donna Oswald of Atchison, Gregg Oswald and his wife, Terri, of Muscotah and Ronda DeLay and her husband, Ray, of Holton. They also have six grandchildren, Rachel Haught and her husband, Kyle, Jackson DeLay, Paige DeLay, Michael Oswald, Ashlea Oswald and James Oswald. Anniversary greetings may be sent to the couple at 5682 Chautauqua Rd., Muscotah, KS 66058.